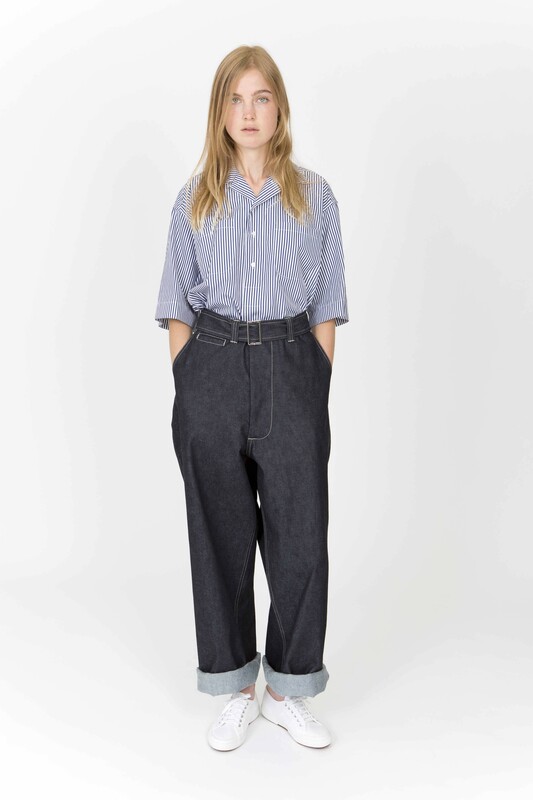 Patrick Grant, the award-winning designer behind cult menswear label E Tautz, is turning his attention to womenswear for spring/summer 2015. Hurrah! After injecting the excitement back into Savile Row via a reboot of Norton & Sons and its ready-to-wear sibling E Tautz, Grant – of BBC2’s The Great British Sewing Bee fame – has designed a collection aimed at the women who have been snapping up his simple and beautifully cut men’s separates for several seasons. The straightforward collection caught my eye at the London Fashion Week designer showrooms last September and answers all my style wants: classic pieces cut in a mannish silhouette and all crafted in the UK from quality British fabrics. Grant has been dedicated to British craftsmanship since 2005 when he was the first British designer to commit to only using British textiles in his work at Norton & Sons. I was heartened to learn that E Tautz sources fabrics from the Suffolk mill just down the road from me. The Brit theme continues with the seaside influencing the clever mix-and-match women’s collection of simple separates: wide trousers and shorts in navy and white stripes, mannish shirts in cotton and linen. I was won over by the bold denim pieces – voluminous shorts, rolled-up jeans and especially the oversized denim shift dress accessorised with a pair of simple white plimsolls. For spring/summer, fashion doesn’t get easier, or more stylish, than that. 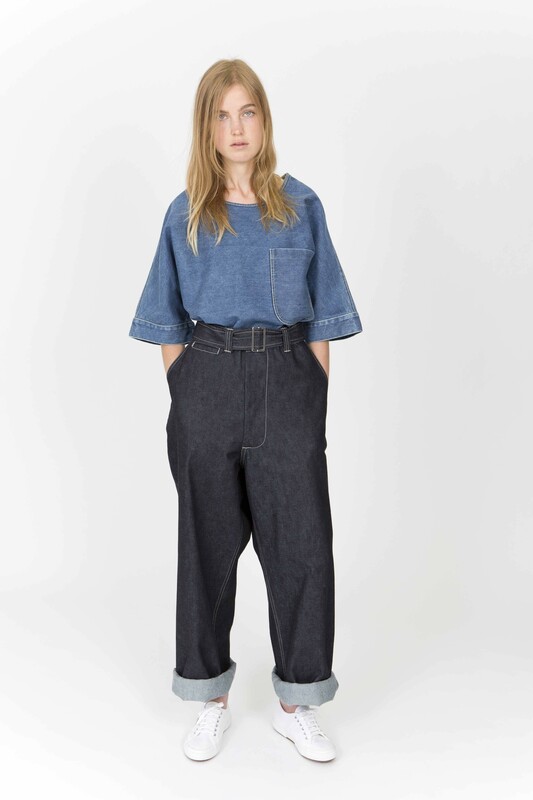 Also on my wish-list is the washed-denim Frinton T-shirt (below), named after the East Anglian sandy seaside town where my boys and I spend many a summer’s day. It’s a winning formula that can only fuel the E Tautz cult. You can shop E Tautz womenswear here, or visit the recently opened E Tautz store at 71 Duke Street, London, W1K 5NX.